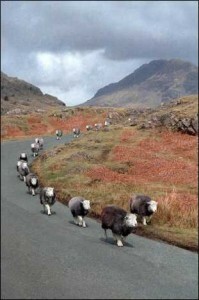 Herdwick sheep have a naturally high health status. This is borne out by the fact that many ewes live and breed to a very advanced age. When selecting rams for Association registration, considerable attention is paid to good mouths as well as the breed points. 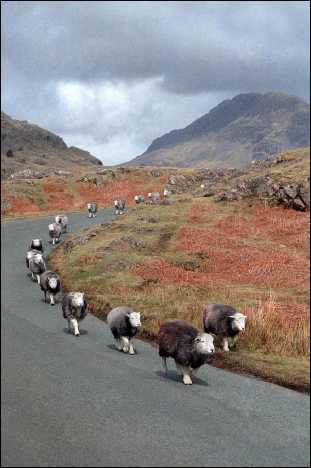 Tups are not just selected from small elite stocks but are also drawn from the fell-going flocks of long-standing and vigorous commercial flocks. This allows for a considerable and beneficial genetic diversity constantly to influence the breed. 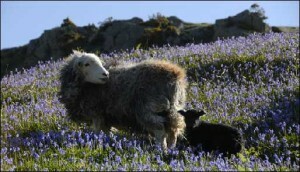 Although the breed has not been significantly troubled with scrapie (indeed many breeders have not experienced a case), the Herdwick Sheep Breeders’ Association in 1998 began a voluntary programme of scrapie resistance testing using the genotype testing techniques developed by the Central Veterinary Laboratory and the Scottish Agricultural Colleges. Tups which had any significant potential to transmit a susceptibility to scrapie to their offspring were required to be culled.